General interests include carbohydrate chemistry, all forms of HPLC including ion chromatography; NMR spectroscopy and other forms of natural product analysis and characterization. Tanner-Dempsey, Greer (in progress). Analysis of volatile organic compounds that alert dogs to the presence of lung cancer. Li, Yanan (in progress). Development of a cyanide-free assay for vitamin B12 in infant formulas. Shrubsall, Jacob (in progress) Rewarewa honey. Sorensen, Stine (in progress) Effect of sedimentation on seagrass (Zostera muelleri) survival. Bernstein, Daniel (in progress). Removal of traces organics using advanced oxidation and biological filtration for drinking water supply. MacAskilll, Jessica (2017). Impact of pretreatment chemistry on the biochemical process for biofuel production. Grainger, Megan (2015). Kinetics of conversion of dihydroxyacetone to methylglyoxal in honey. McDonald-Wharry, John (2015). Carbonisation of harakeke (Phormium tenax) biomass for potential application as composite reinforcement. Embargoed until 22 May 2017. Brown, Jolene (2014). Seasonal comparison of lipid composition and metabolism in parasitised and non-parasitised clover root weevil (Sitona lepidus). Gill, Brendon (2013). Analysis of nucleosides and nucleotides in milk and infant formula. Srinivasan, Prakash (2013). Sorption, degradation and transport of veterinary antibiotics in New Zealand pastoral soils. Li, Yi (2003) in vivo utilisation of fructooligosaccharides by sheep faecal bifidobacteria and in vitro antagonistic effects against intestinal pathogens. Christian, Ted (1999), Kinetics of formation of di-D-fructose dianhydrides from thermal treatments of inulin. Willcock, Nathan (2018). Development of a field test for classification of dihydroxyacetone content of mānuka (Leptospermum scoparium) nectar. Owens, Adrian (2016). Kinetics of dedimerisation of dihydroxyacetone in aprotic media. Sorensen, Stine (in progress). Seagrass vulnerability and resilience: the threat of sedimentation. (chief supervisor Marnie Campbell). Bernstein, Daniel (2015). Development of a method for trace analysis of dioctyl sodium sulfosuccinate by liquid chromatography mass spectrometry and its application to samples from the MV Rena incident. Lloyd, Alicia (2015). Analysis of amino acids in mānuka honey. Tanner-Dempsey, Greer (2017).Development of a method for the analysis of amino acids and phenolic acids in manuka honey". Yin, Yingjie (2015). Developing a rapid in-field sensor for DHA in nectar of Leptospermum Scoparium. Cameron, Nicola (2014). Use of LA-ICP-MS to analyse dental enamel in order to locate the geographical origin of teeth. MacAskill, Jessica (2013). Quantification of nitro-toxins in Karaka (Corynocarpus laevigatus) Drupes. Yang, Wenjuan (2012). Investigation of extractable materials from biochar. Chan, Ching (2011). Isolation, charaterisation and synthesis of a phenyl-substituted pyrrole isolated from the flavonoid fraction of mānuka honey. Dumté, Mérine (2010). Development of a method for the quantitative detection of honey in imported products. Faville, Martyn (2010). Examination of the molecular mass of polyhydroxypolyamides. 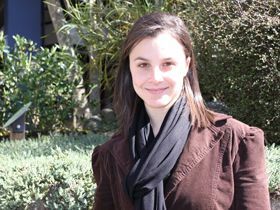 Grainger, Megan (2010). Categorisation and discrimination of Automotive glass fragments by Laser Ablation Inductively Coupled Plasma Mass-Spectrometry (LA-ICP-MS) for forensic purposes. McDonald-Wharry, John (2010). Characterisation of water soluble polysaccharides produced during prehydrolysis of pinus radiata. Deadman, Benjamin (2009). The flavonoid profile of New Zealand mānuka honey. Haisley Bassard, Connor (2016). Sugar profiles of Dactylanthus. Brunton, Richard (2015). The extraction, quantification and characterisation of kavalactones from Piper methysticum (Kava).